Claude Independent School District is helping raise money to repair a war memorial along U.S. 287 that was destroyed a few weeks ago when it was struck by a vehicle. The Charles H. Roan & Armstrong County Veterans Memorial was dedicated in 2016 after veterans worked for years to raise tens of thousands of dollars. It was named for Charles Roan, who grew up near Claude. 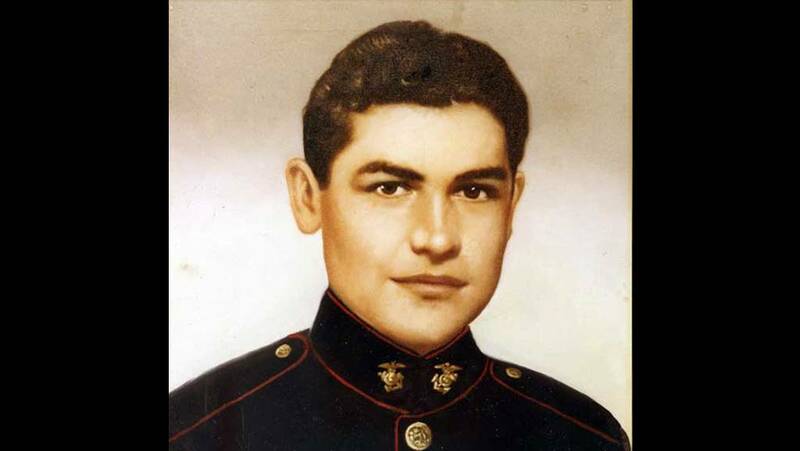 Roan volunteered for the U.S. Marine Corps in 1942. He was a Medal of Honor recipient who was killed in action in World War II in 1944 when he threw himself on a hand grenade tossed by Japanese soldiers during the Battle of Peleliu, which is in the Palau Islands in the western Pacific Ocean. Roan's actions saved his fellow Marines' lives. The USS Charles H. Roan, a Navy destroyer, was christened in Roan’s honor in 1946. A hit-and-run driver careened off U.S. 287 and struck the memorial on Oct. 29. Telltale debris at the scene pointed to a late 1980s Toyota vehicle as the culprit and law enforcement continue to search for the driver, according to reports. Claude ISD has established a donation page to contribute to rebuilding the memorial.